As a beginner you may not be familiar with the term "Elements and Principles" of design. 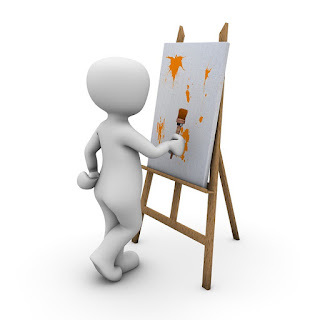 This simply refers to some important points to consider in all your artworks. The "Elements" are more tangible and obvious, whereas the "Principles" are a little more open to interpretation and personal preferences. They are not set in stone, more of a guide to make you think about how successful your finished piece of artwork will be. I have made a video talking through the Elements and Principles. however it is also useful to have things in writing. Most of the list are self explanatory and although it is important to learn them, over time they become automatic rather than something you are consciously thinking of each time you paint.